From our wedding party packages to our ability to personalize any of our items to your specifications, we can provide the ultimate keepsake of the biggest day of your life. Last minute gifts for everyone in your family, or a fully personalized gift set to give your attendants we can fulfill your party gift needs. We carry a full line of personalized wedding gifts that are sure to surprise your guests. 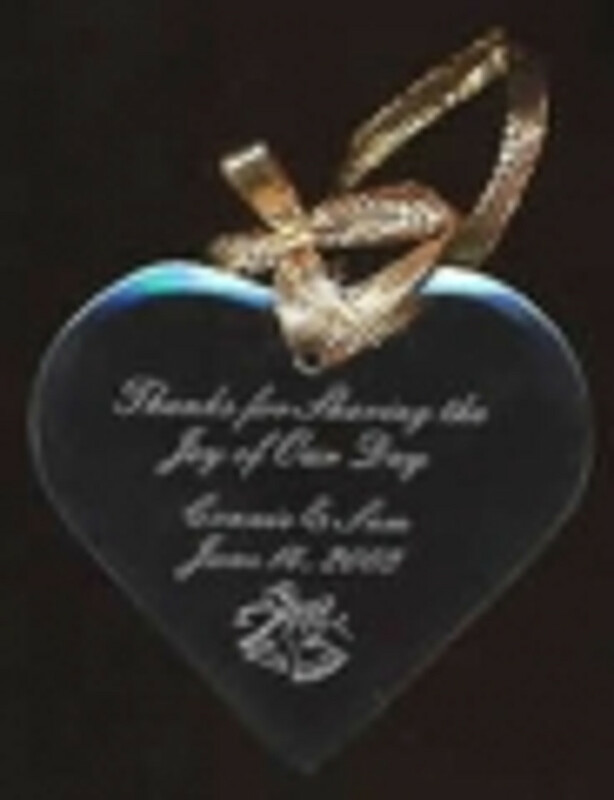 Wedding ornaments to preserve the memory forever during all seasons "Looks beautiful as a sun catcher". Use our custom wedding picture frames to preserve your special day forever.